According to the Maritime Labout Convention (MLC), everyone working at sea must have a valid medical certificate. The ENG1 is a basic medical examination, carried out by a certified doctor, confirming that you are in a fit condition to work on board. Is a medical fitness certificate for those who work on sea (or recognised equivalents from other countries). In the United Kingdom, it has to be issued by an MCA (Maritime and Coastguard Agency) approved doctor following a full medical examination. Every seafarer on a seagoing ship is required to have a certificate of medical fitness. To establish whether or not anyone working on a seagoing vessel has any medical conditions that might cause him or her to be unable to perform certain duties at sea. The idea behind this is to minimize or prevent potential hazards at sea. For example, someone who is colour blind would not be able to recognise certain safety and danger marks and signals that rely on colours and in the interest of safety, would need to be excluded from such duties. The doctor or a practice nurse will ask you questions about your medical history. You will be weighed and measured, and you will be required to provide a urine sample. There is also a physical examination, hearing test and eye test which will check your distant vision, near vision and colour vision. 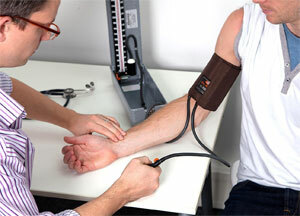 The maximum fee for an ENG1 medical examination is £80 in the United Kingdom. ENG1 is valid for a maximum of 2 years.